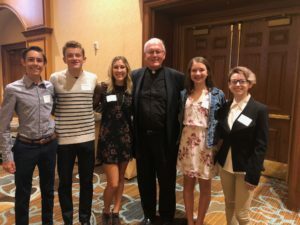 day off in a slightly different way today: They joined with 400 other students in attending the Mayor’s Prayer Breakfast, as well as dignitaries that included: mayors of Boulder City, Henderson, Las Vegas and North Las Vegas and the chairman of the Clark County Board of Commissioners. 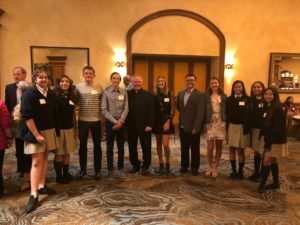 “It’s an event that celebrates unity and diversity as business, faith and political leaders come together with students from across the region,” said Associate Rosy Hartz, who accompanied students from St. Viator’s Campus ministry and youth ministry programs. Another delegation of students came from Bishop Gorman High School, accompanied by Associate Kim Martinez and Fr. William Haesaert, CSV. 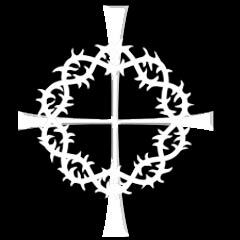 The Viatorians’ newest school, Cristo Rey St. Viator Las Vegas College Prep, was represented by Fr. 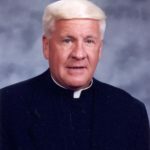 Thomas von Behren, CSV, president , and Br. Carlos Flórez, CSV, its student enrollment officer. The keynote speaker at the breakfast was Kerry Bubolz, president and chief operations officer of the Las Vegas Golden Knights, who last year made it to the NHL finals. He added star power to the event, but his words went a long way with students in attendance. The Mayor’s Prayer Breakfast dates back more than 60 years. 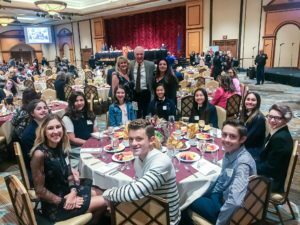 It is organized by the Interfaith Council of Southern Nevada and benefits Camp Anytown program, which empowers youth in leadership skills, human relations and diversity.